It's official now.... we've moved.. Yes, we've finally moved lock & stock to Sirsi, close to the farm. (Barrels are still left behind to be moved at a later date ;-) We've been living in Sirsi town in rented accommodation for the past 2 weeks. 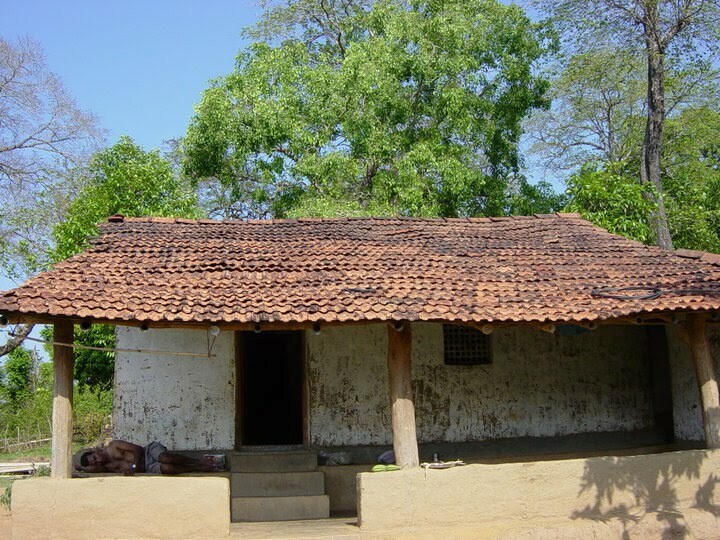 Our house on the farm (16 Km from Sirsi town) is still being built. Sushie visits there on alternate days to supervise the construction. I've managed to go there a couple of times this week, to monitor the progress. Things are moving along slowly, but we're getting there. Our target was to have the place ready by the end of May, before the monsoons begin, so that we could move in and settle down before the big rains that go on almost unceasingly for 4 months. However, it is unlikely that all the work will finish by that date. So we're trying to at least make it livable so that we can move in. 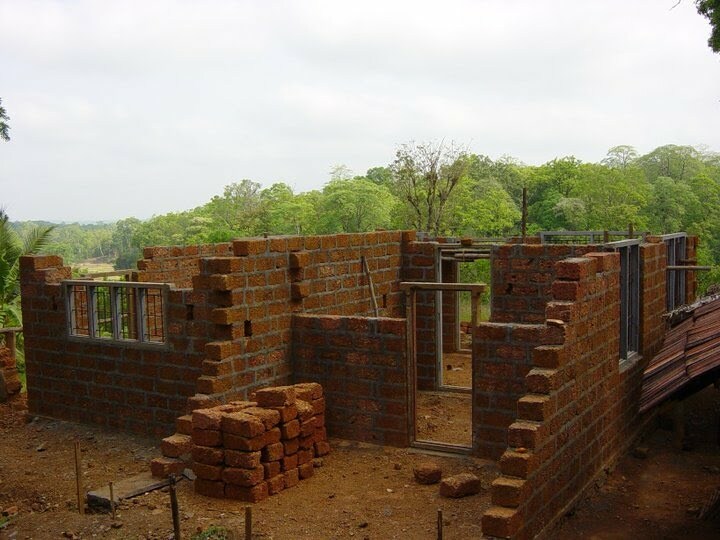 Brick by brick the house comes up...our house built of locally available laterite stone.